Inking a tattoo is not just a style statement but also a way to outright your conviction, contemplate and the stage you are hanging on to, through in life. We’re all accepting our bodies as a canvas today, painting it with ink for the sake of vogue. But there was an era too, when our grandparents were inked, at a young age, with minimal yet unique signs may be a symbol, a name, a motif etc. all infused with some meaning. Since then, Hindi tattoos have been known to us and today they have gained popularity worldwide. And those ignorant folks, who are living with the ‘Hindi is uncool‘ notion, the following tattoos are specially targeted for them. The most fashionably in designs are based on Hindi lettering. 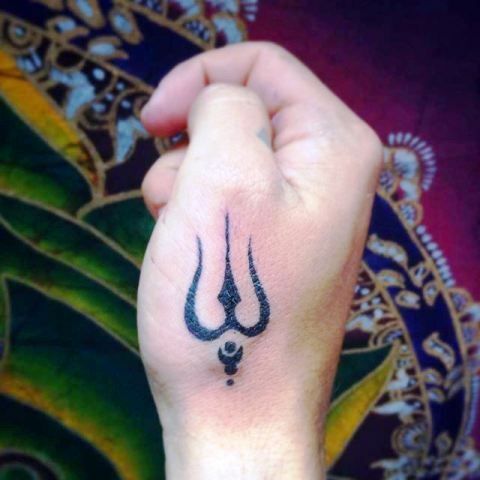 Many celebrities choose Hindi script to get themselves inked & later proudly flaunt them. 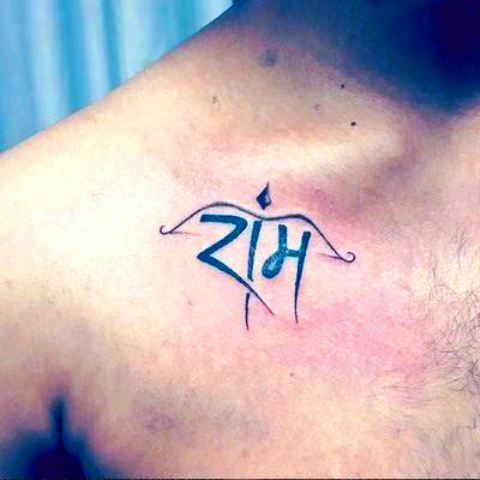 See in pictures below few amazing Hindi tattoo designs with their meanings, you’ll fall in love with. 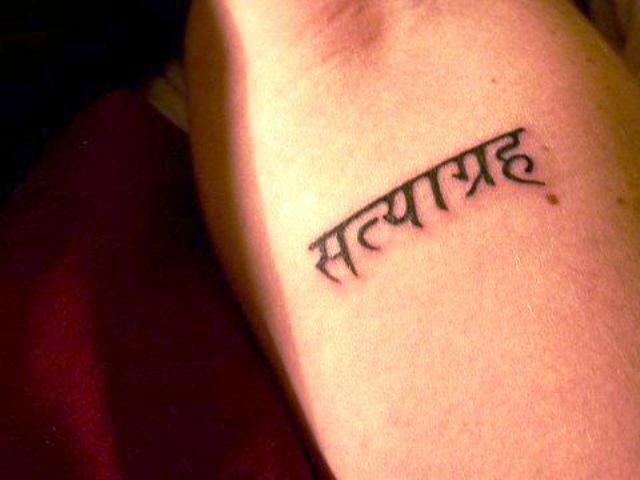 “Maa” is a very stereotyped Hindi ink prevalent in the world of Hindi tattoos. Anyone who is closely and emotionally attached to his or her mother can get it done. This seems to be a very significant ink since ancient times. 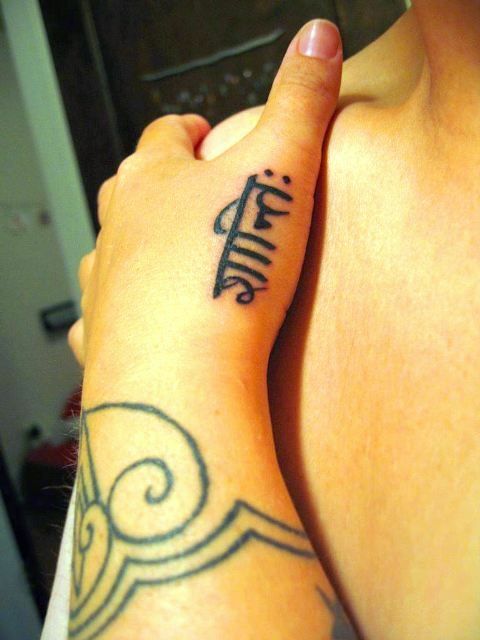 Another widely known tattoo, “Ram” inked in Hindi can be seen in the above picture. It also has an arrow running in between which receives patronage from Shri Ramchandra Bhagwan as per Hindu mythology. It depicts that one who preaches truthfulness and authenticity as per Lord Rama’s philosophy can go for this tattoo. Do you follow Lord Shiva deeply? If yes, this mantra can be one of your Hindi inks. 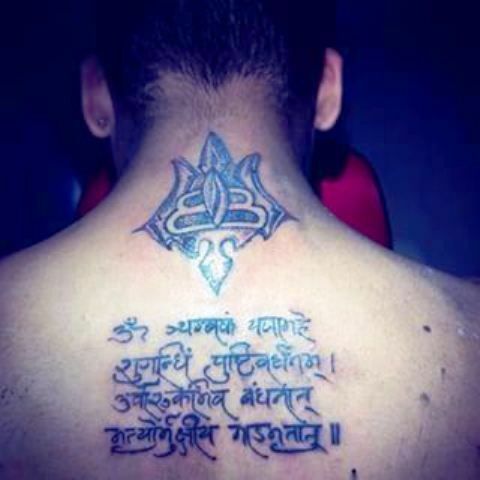 This is Maha Mrityunjaya mantra tattoo. Mrityunjaya is actually a complete clean ownership of fair karmas in this dark kaliyuga. Anyone who’s coil filled with shorter age and any type of body pain, any kind of physical ailments, any kind of planetary sin or any obstacle for that matter, and if a person receives much of deceit, fraud and bad omen from the world, should keep a track of this mantra everyday to vanish all his pains and miseries. His life will be filled with knowledge. The one objective of this mantra is to win over this fear, it is believed that Lord Shiva himself gave humanity the Maha Mrityunjaya mantra. Whenever there is restlessness, stress, mental pressure, grief, or illness, or when fear of death interpolates in awareness, this great mantra can be one way for healing, for maintaining vitality, building up courage and finding refuge. Carpe Diem is a common Greek Aphorism which in English means, “Seize the Day”. Some people live by their own set rules, and life norms. Words such as Carpe Diem is more than worthy to be inked on your skin. It basically means giving best to your present times and a very little thought to future which is yet to unfold itself. 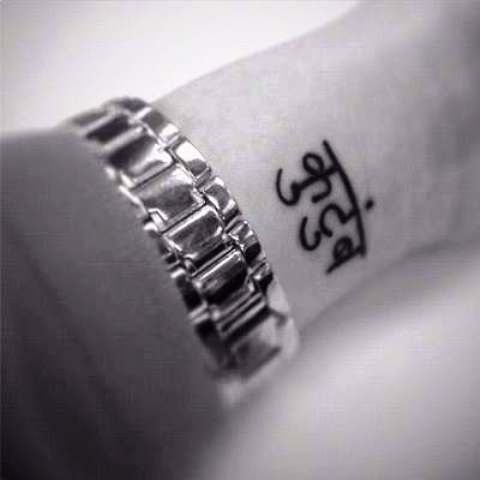 You can get your arm wrist inked with your name in Hindi calligraphy. It can be either your name or the name of your loved ones. It can be either wholly in Hindi or partially too, whichever suits you the best. This is another Hindi tattoo seen among the masses. It is a world known policy of passive political resistance, especially which was advocated by Mahatma Gandhi against British rule in India. Far-flung robust abstractions are all rolling around, tied to this sacred symbol- “Om.” The Om is expressed most commonly in Buddhism, Jainism, and Hinduism. To be exact, “Om” tattoo conveys an admiration for life and esteem for the creation and an understanding of the divine flow of the Universe. It means liberation, self-realization, knowledge or peace. You can get your zodiac sign ink on your body. This is too in for the trend and gives a very classic look. It can also come up with a combination of Zodiac in Hindi plus English or somewhere in the middle by using each language partially.